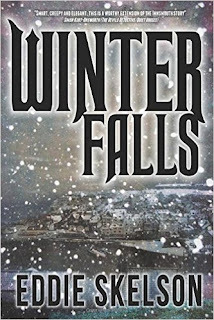 The strange incidence of government and military action inside the remote New England town of Innsmouth in the 1920's is almost forgotten but a few years later an arrival to the Scottish town of Winter Falls brings with him the religion that was driven out of Innsmouth. After a hundred years have passed time has eroded memories, recollections are vague or misplaced, sometimes deliberately so. Whatever happened at Innsmouth is now a forgotten thing. Today, Joe Clarke feels as though he is being punished for being good at his job. Sent off to the north to recover missing data for his company's large NHS contract, Joe the London boy wants only to get into Glasgow, get the job done and to get out. 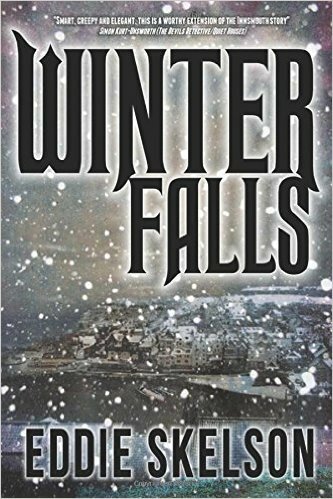 But when things don't go his way Joe is inextricably drawn further in to the remote highlands of the region and the horror that awaits in a town that many think may not even exist.